Reliably deploy and run containerized workloads across private and public clouds. Enterprise Pivotal Container Service eases the Day 2 operations burden for container orchestration with built-in HA, monitoring, automated health checks, and much more. Enterprise Pivotal Container Service uses the latest stable OSS distribution of Kubernetes—with no proprietary extensions. Keep your workloads properly isolated. Secure your containers within a single cluster by using network segmentation. Or easily deploy multiple clusters for higher isolation levels. With Enterprise PKS, you can deploy, scale, patch, and upgrade all the Kubernetes clusters in your system—without downtime. Rapidly apply security fixes when new vulnerabilities are detected. Enterprise PKS is highly available up and down the stack, from apps to infrastructure. The service also includes dynamic load balancing, zero downtime updates, automated health checks, and much more. Enterprise PKS gives IT teams the flexibility to deploy and consume Kubernetes on-premises with vSphere, or in the public cloud. And because Enterprise PKS is powered by BOSH, you get a reliable and consistent operational experience on any cloud. Enterprise PKS includes NSX-T to programmatically manage software-defined virtual networks, and to keep your K8s network secure. Deploy K8s clusters on-demand through the command line (CLI) and API using BOSH, a powerful release engineering toolchain. K8s clusters deployed by Enterprise PKS are also constantly watched and kept healthy by BOSH. Integrate Enterprise PKS with VMware tools like vRealize Operations Manager, vRealize Log Insights, and Wavefront for a full-featured on-prem deployment. Enterprise PKS comes with Harbor, an enterprise-class container registry server. Harbor provides vulnerability scanning and identity management for Docker images, and supports multiple registries. Enhance your containers with a growing library of add-on services. Easily add APM tools, database services, and much more with the Open Service Broker API and Kubernetes Service Catalog. Apps are cross-compatible between Enterprise PKS and Google Container Engine (GKE). That means you’re always running the latest stable Kubernetes version and can easily move workloads to (and from) GKE. Enterprise PKS is built atop Cloud Foundry’s Container Runtime (the project formerly known as Kubo). Deploy on private & public cloud, managed by you. 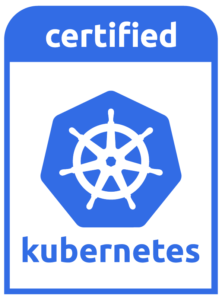 Signed and supported upstream Kubernetes binaries with validated designs. Includes expert support to proactively guide you through upgrades or maintenance and reactively troubleshoot if/when needed. Enterprise-grade distribution that applies tightly packaged technologies like BOSH, NSX, and Harbor to speed deployment and simplify operations. Simpler to deploy and operate. A SaaS offering, operated by VMware on public cloud. Consume pre-configured clusters across clouds without any management or maintenance. Deploy and scale at a moment’s notice. Get up and running in minutes. In the meantime, please explore, download, and update Pivotal software and services.